Want to give someone the Gift of flight? Tandem paragliding gift vouchers are available to purchase online and are valid for 4 months from date of purchase or unless specified otherwise. Unfortunately gift vouchers are not transferable. You can extend your paragliding gift voucher if the weather did not play along at no extra cost, just contact us and we will happily extend it for you. 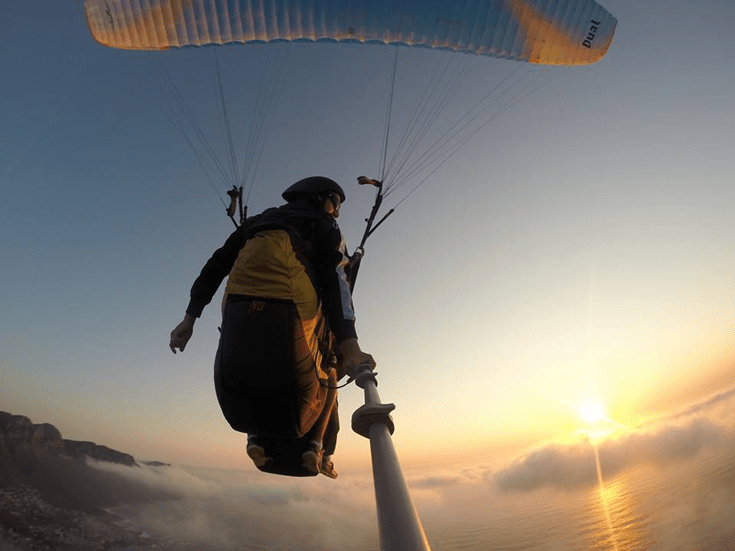 The cost of a paragliding gift voucher is R1300.00. Get started here, by submitting the form below. GIVE SOMEONE THE EXPERIENCE OF A LIFETIME! Provide the details of the person you’d like to make the gift voucher out for, and we’ll send it to the email address you specify. Please provide the details for the individual receiving the voucher. If you would like us to send the gift voucher please specify an email address of the person receiving it. Gift Vouchers are valid for 4 months from the date of purchase. If this is for a particular occassion or event, let us know! Please specify your preferred payment method and any additional extras. Let them share the experience with loved ones and friends.